A study of leading cities by the international agency Savills reveals that Berlin is the cheapest city for international students, and Barcelona and Madrid are somewhere in the middle. Berlin is the cheapest city for students to study in, costing an average of 900 €/month, and Boston the most expensive at 5,000 €/month. The figures include tuition fees. Barcelona is in 16th place costing students an average of 1,425 €/month to study in, and Madrid in 13th place on 1,660 €/month. The three most expensive cities are all in the US: Boston, New York, and San Francisco, if you include tuition fees. 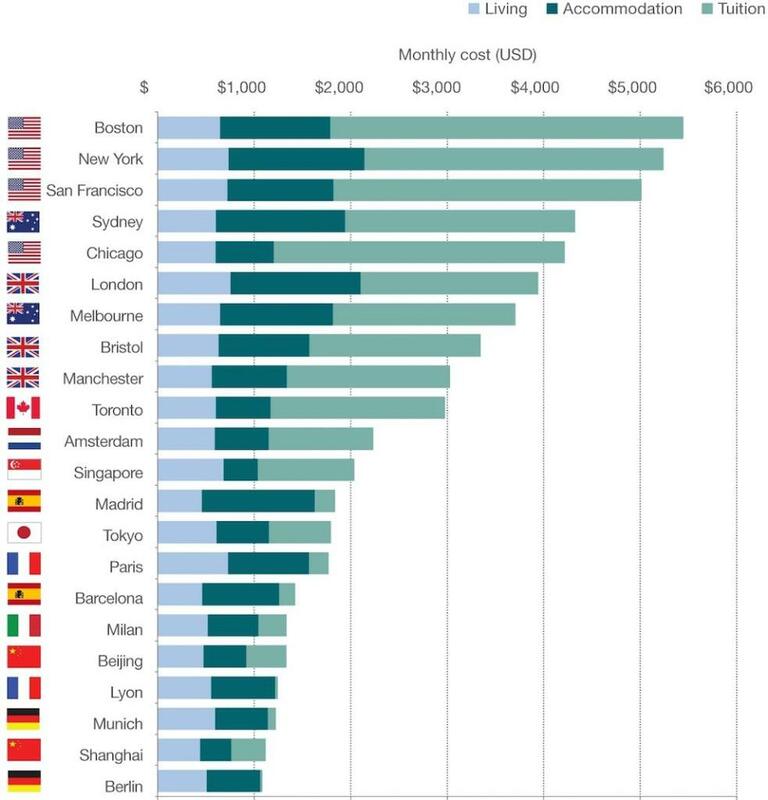 London is in 6th place with 3,600 €/month. But take out tuition fees, and Madrid is not so cheap. Based on just living and accommodation costs, the cost of living in Madrid is similar to Boston – the most expensive city when tuition is included. With or without tuition fees, Barcelona is one of the cheapest cities to study in. The ‘World Student Housing’ report by Savills compared the cost of living and tuition fees for students in 22 leading cities around the globe.